We said goodbye to our super-rad hotel yesterday. Thank you Ace Hotel! You were awesome! We highly recommend this place if you're ever staying in Seattle. 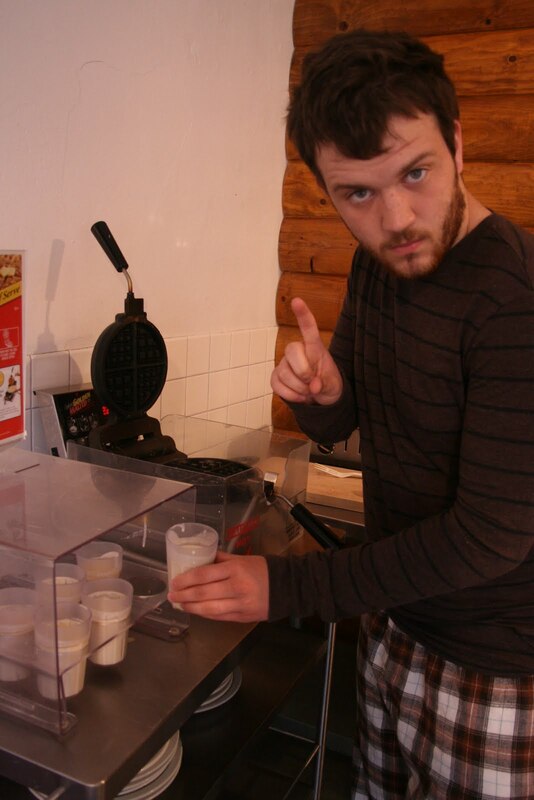 The location is great, the rooms are sweet, the employees are the nicest AND it has the best continental breakfast ever! Well, mostly just for one reason...the waffle maker. Please allow us to demonstrate. Step 1: Pick and choose your cup o' batter. 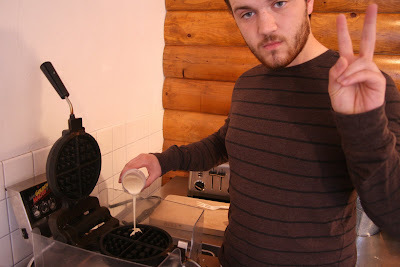 Step 2: Strategically pour your batter into the waffle iron, being sure to equally cover all crevices. Step 3: Close and turn waffle iron. 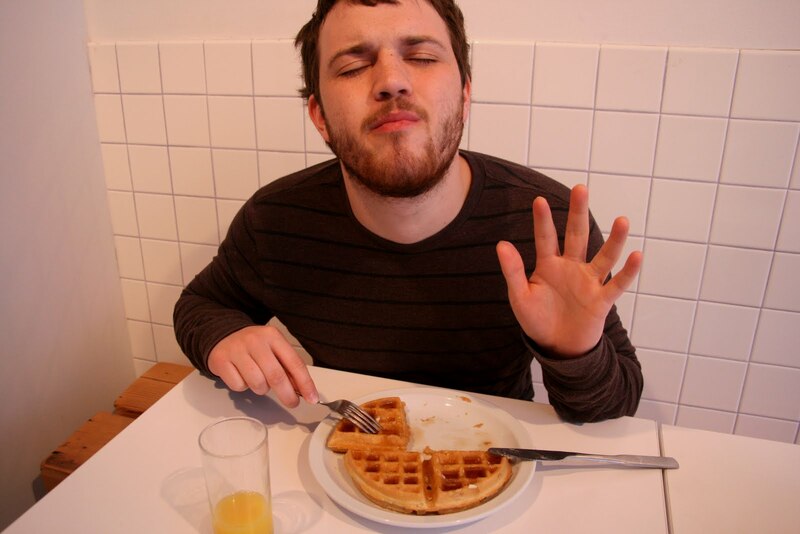 You are especially good at making waffles if no batter spills out of the edges. It may even be your spiritual gift. Step 4: When you hear the beeper, your waffle is done! Open the iron to see your handiwork, and be sure to let everyone know how 'perfect this one looks'. Transfer waffle from iron to plate. 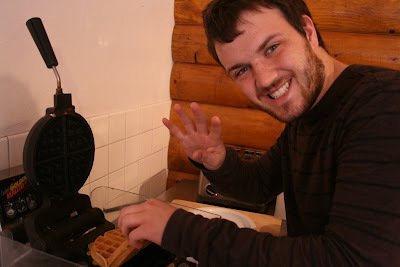 Step 5: Add butter and syrup, and take part in the deliciousness that is called 'waffle'. So we left Seattle yesterday, and took a bus to Vancouver. To be honest, we were least excited about this leg of our trip, but now that we're here, this city looks incredible! Our hotel is right downtown, and we spent the evening exploring Granville Street. We had dinner at The Templeton, which is a rad little dinner with major throwbacks to the 50's. Yeah for my home! I worked 2 blocks of Granville and would frequent it at lunch. Best Shwarma is at a little place just off Granville. It is a tiny place but so good! Go to the Future Shop on Granville and cross to the opposite corner and go about 3 shops in. Glad you guys are having fun, now you know why it was so painful to move! Wow you guys find the COOLEST places!!! I am impressed! We will have to get all your tips when we hit up that area. 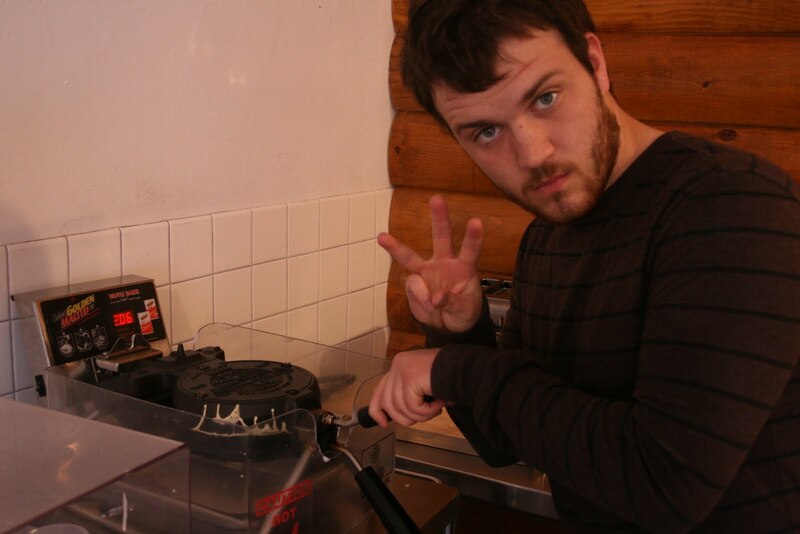 LOVED the waffle demo. And love you guys!